Therese of Lisieux is one of the most popular saints of our time and for good reason. As Pope St. John Paul II wrote when declaring her a doctor of the Church, Therese little way is nothing other than the gospel way of holiness for all. In this faith-sharing guide, Br. Joseph Schmidt helps readers understand Therese message through the Scripture passages that illuminated her insights about God and his merciful love. Each of the seven sessions features one or more passages from Scripture as well as excerpts from Therese writings that allude to those passages. 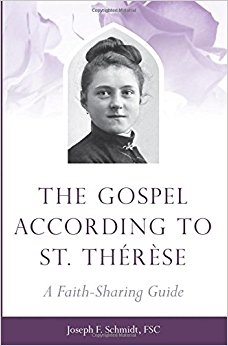 Thoughtful commentary and questions for reflection follow, enabling us to discover how our own relationship with the Lord might be transformed by the Little Way of St. Therese.